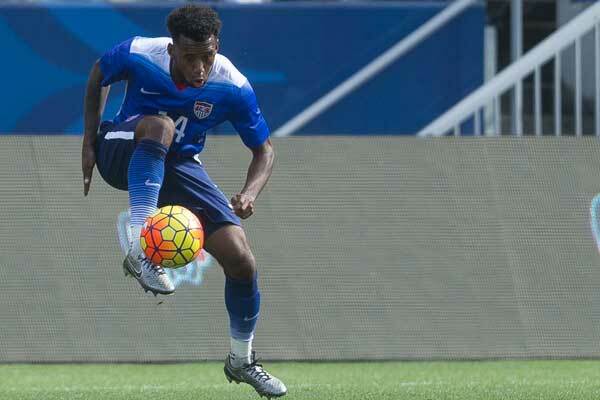 The soccer news starts with the USMNT in action on Saturday against Costa Rica (3:30pm ET - Fox). With a 3-0 shutout of Panama in Arizona last Sunday, the USMNT looks to close out January camp with another strong performance. As Charles Boehm relayed in his latest column for USSoccerPlayers, this version of the USMNT is about installing new tactics and teachable moments for coach Gregg Berhalter. . . .
By J Hutcherson (Dec 18, 2018) US Soccer Players - It's a common occurrence this time of year. The Concacaf Champions League winners travel a long way to disappoint in the FIFA Club World Cup. This time, it was Chivas heading to the Emirates and losing their second round game 3-2 to Japan's Kashima Antlers. That meant 5th-place against Esperance de Tunis. It took penalties, but Chivas lost . . . Whether or not FIFA goes ahead with an expanded World Cup in 2022, we already know it will happen for 2026. 48 teams, resetting what we know about the tournament. For Concacaf, the early issue is number of qualifying spots and how World Cup qualifying will work in the era of expansion. It's worth the reminder that Concacaf would've already changed World Cup qualifying had they gotten four . . . The soccer news starts with Concacaf announcing the schedule for the 2019 Champions League. With clubs from the region's bigger leagues no longer having to play through a group stage, the tournament starts at the round of 16 for MLS and Liga MX. The home and away knockout rounds begin on February 19 and conclude May 2. Because the Canadian champion and the US Open Cup winner are MLS clubs, Major . . .